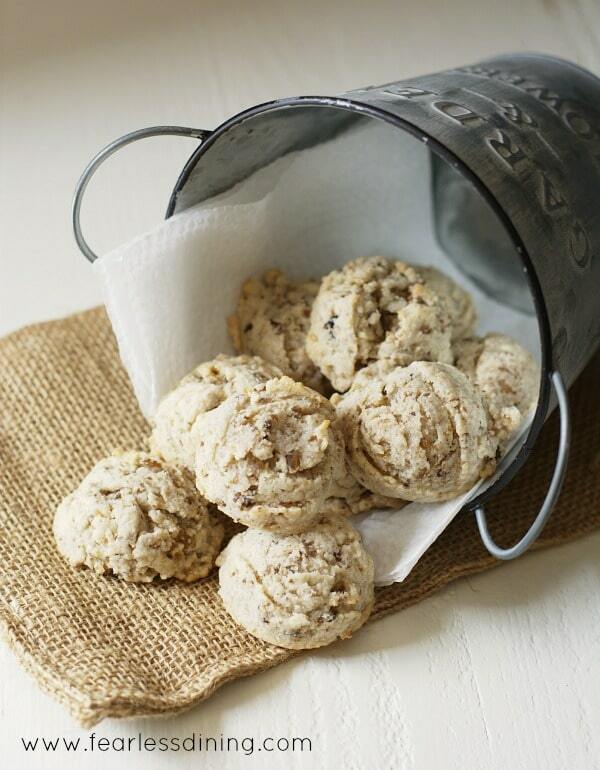 Home » Chef Recipes » The Best Gluten Free Cookies For Any Cookie Craving! 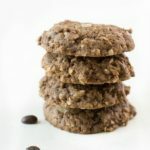 The Best Gluten Free Cookies For Any Cookie Craving! 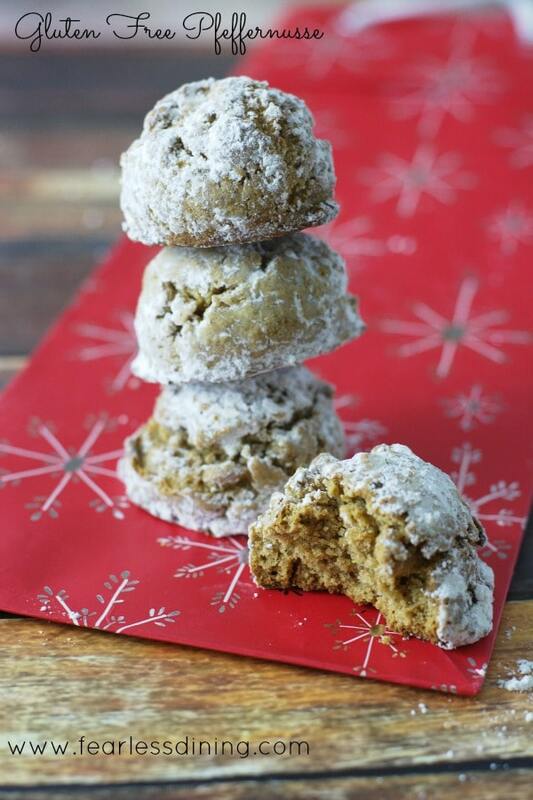 This is the season for delicious gluten free holiday cookies! 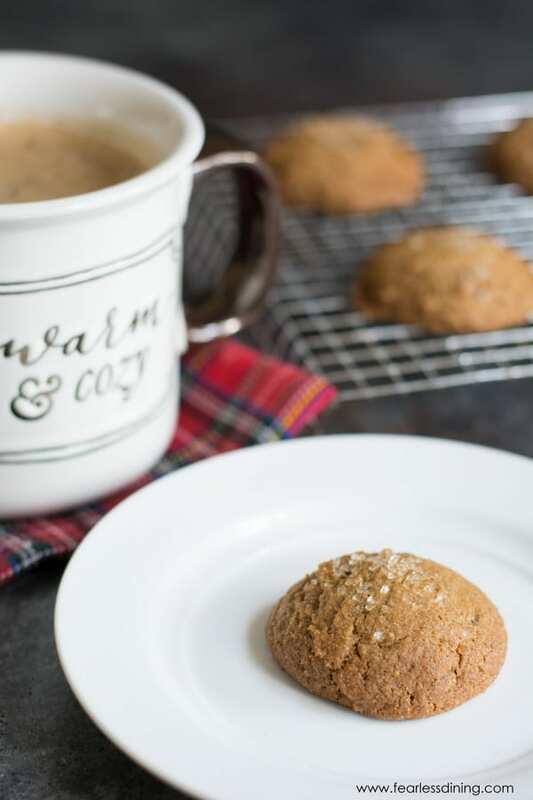 These are the best gluten free cookie recipes on the blog…and ones that are perfect for holiday baking! 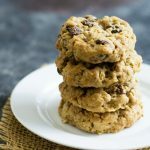 You will find every type of cookie, and you will love these amazing gluten free cookie recipes! These are the cookies you bake and hide so your family doesn’t eat them all in one sitting! These popular gluten free cookies aren’t just for the holidays!! My best gluten free cookie recipes on the blog. Now, this is just a sampling of the cookie recipes you will find here at Fearless Dining. There are so many cookies here because I have a killer sweet tooth :-). If you are like me, you will be trying them all! Don’t forget to write and tell me which are your favorites! You can visit here to see all of the gluten-free cookies on my site. Tools You Need to Make Amazing Gluten Free Cookies! To make gluten free cookies, you need the right flours and ingredients. You can find my whole list here in My Gluten Free Pantry. Gluten free flour blend and add 1 teaspoon of Xanthan gum if your blend doesn’t include it. Almond flour, to sneak in a little protein! It seems like it was just Halloween, and here we are on the homestretch to Hanukkah and Christmas!! This year I am all for delicious cookies ANY time of year. This collection of cookie recipes is perfect for those holiday parties, bake sales, teacher gifts, and cookie exchange parties. 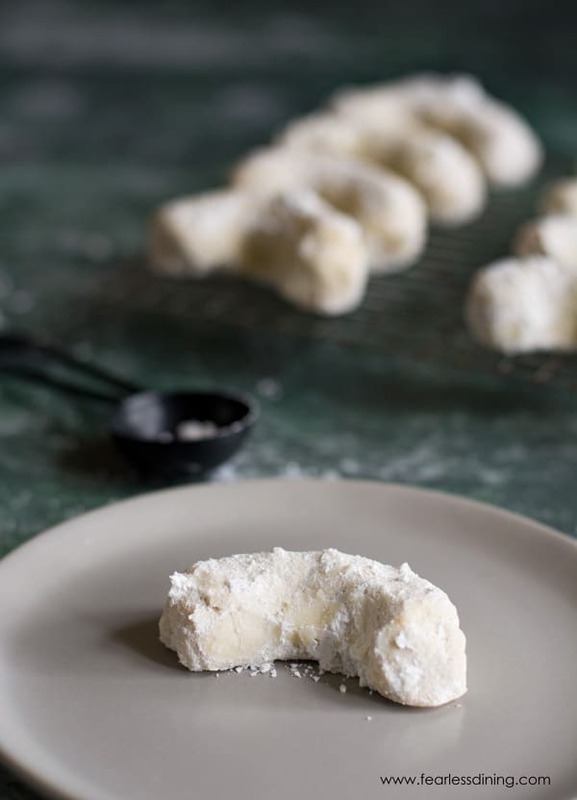 Gluten Free Austrian Vanillekipferl Cookies melt in your mouth. They are a deliciously easy cookie to make that your whole family will love. A bonus, these cookies also freeze really well! Go ahead and make a double batch!! 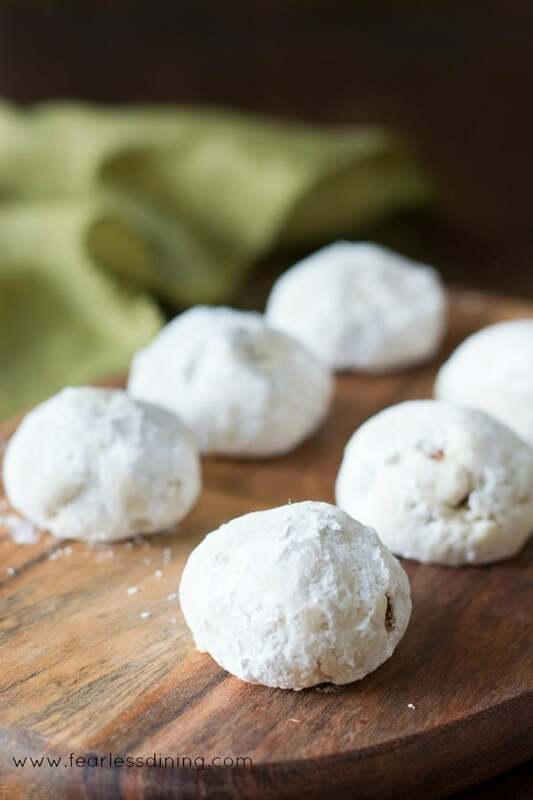 One of our favorite cookie recipes is this Gluten Free Russian Tea Cookie (aka Mexican Wedding Cookies) recipe. These cookies have a nice protein punch because of the almond flour in them, it helps balance out the powdered sugar coating! 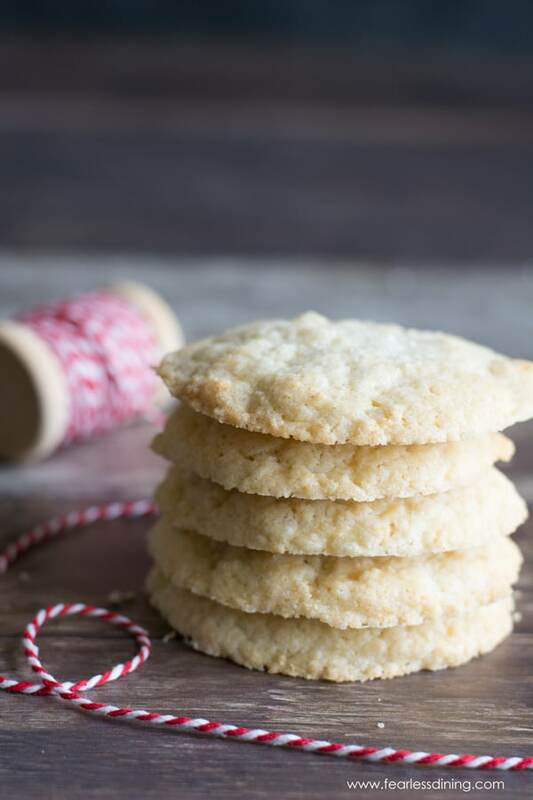 This delicious gluten free sugar cookie recipe was sort of an accident! I was trying for something else but with these crispy edges and soft insides, I had to share this blooper sugar cookie with you!! 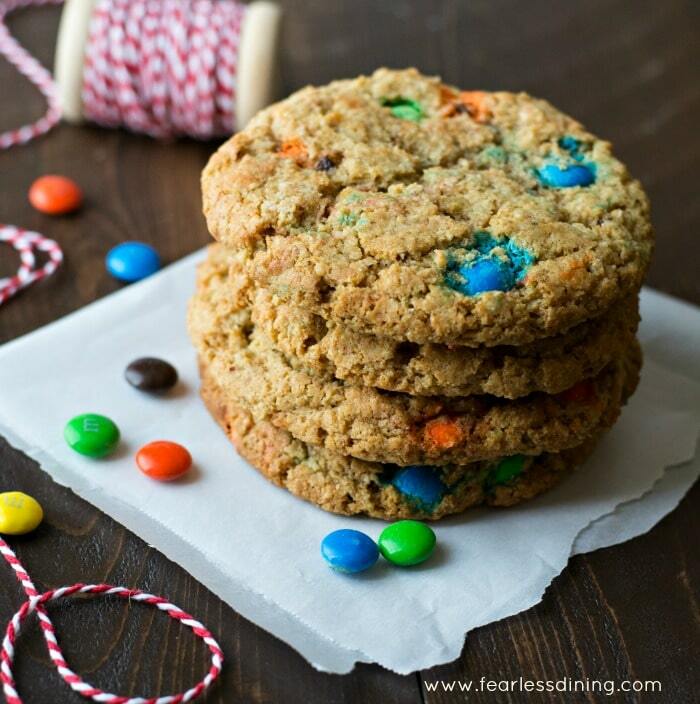 If you love M&Ms, these GIANT gluten free M&M cookies are for you. They are the perfect size for a cookie-a-holic, or fill with ice cream for the ultimate ice cream sandwich cookie experience! These Gluten Free Gingerbread 7 Layer Bars, or magic bars as some people call them, are a special twist on my favorite cookie bar recipe. 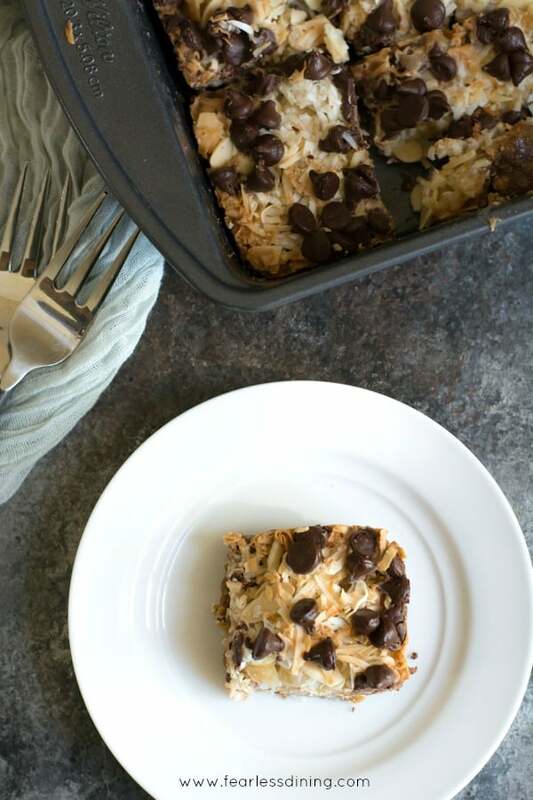 These have candied ginger chunks to add some ginger zing to these bars! It is all about peppermint with these Gluten Free Chocolate Peppermint Madeleines. These French cookies are a delicious fun treat to eat. I love this holiday version because it still has that cakey feel like a real Madeleine has…and your kids will love breaking up those candy canes to decorate these. This is one of the most popular cookie recipes on my blog. 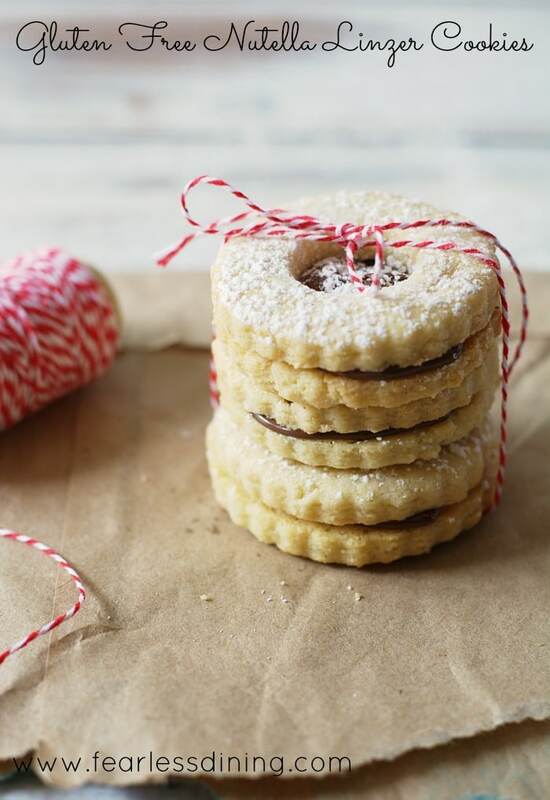 These Gluten Free Linzer Cookies are stuffed with Nutella! You can put jam or frosting between these cookies if you prefer. This gluten free cookie recipe is based on a sugar cookie recipe so most fillings would work perfectly. Okay, so this isn’t technically a cookie, but these bite-sized pieces of Chocolate Peanut Butter Fudge are so good, they make a delicious holiday gift! I couldn’t resist including them, let me know what you think of these. What holiday party would be complete without Traditional Gluten Free Gingersnaps? These soft cookies are full of ginger and nutmeg. In Germany, these pfeffernusse cookies are so popular. Mr. Fearless Dining REALLY wanted me to create a gluten free version of this cookie recipe, so please enjoy :-). I hope to create a lot of International cookie recipes over the holidays, I hope you join along and make a few with me :-). 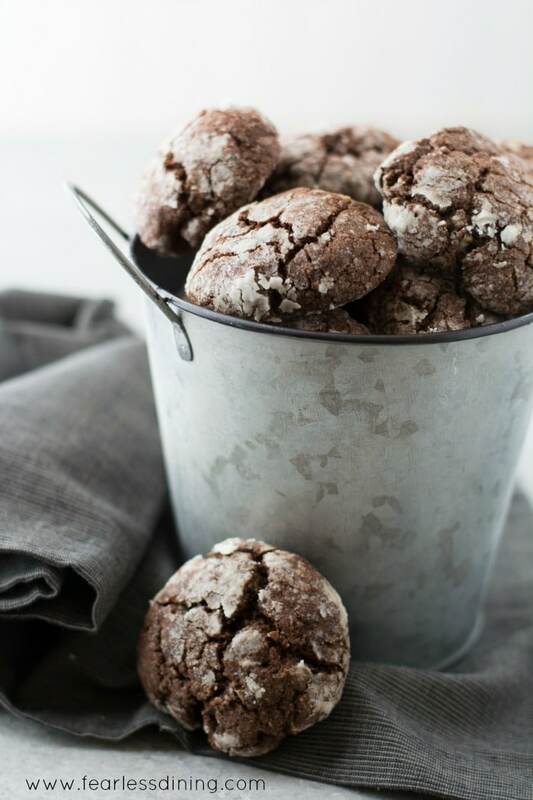 These Gluten Free Chocolate Crinkle Cookies are so chocolaty…and rolling the cookie dough in powdered sugar gives these a beautiful “fancy” glaze :-). 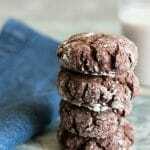 My chocolate crinkle cookies make a delicious gift or bring them to a cookie exchange party for everyone to try! And lastly, my famous Gluten Free Almond Sliver Chocolate Chip Cookies. These may look like a yummy cookie, but there is a lot of protein packed into these cookies. I don’t even feel guilty letting my kids eat more than one! Lastly, I wanted to share a unique cookie with you. Gluten Free Chestnut Cookies. These are made with roasted chestnuts. You can roast your own chestnuts, or buy them already roasted in a small box in the refrigerated section at Trader Joe’s. You can enjoy them plain as shown, or dip the bottoms in dark chocolate! I hope you like this gluten free cookie round up and that you find a new favorite. I would love to hear which is your favorite!! This is terrific! I’m baking cooking this week for an event for foster children. There are so many wonderful holiday cookies here to choose from – thanks for all of the great options! What a wonderful way to give back Debra, that is so sweet of you to consider making gluten free options for them. Thanks for the cookie recipes. We have vegans, gluten free and I am always looking. Thank you! New cookies for Christmas! Looks like there are some new favorites here! So many great Christmas cookies! 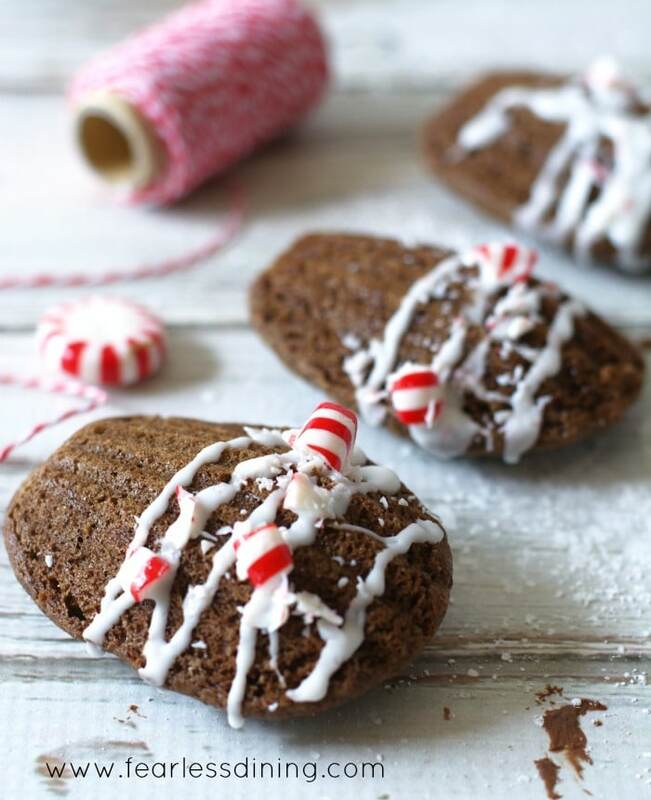 Love those Gluten Free Chocolate Peppermint Madeleines! How perfect! Such a great round up! So excited for all the Christmas treats! Cookie exchanges are always so fun during the holidays. There are so many fantastic options on this list! I love them too. It’s a fun way to try a lot of fun cookies. great resource for this cookie season! wow, so many wonderful options! !